Tandem dynamic protection system “Duplet” does not have analogues in the world. This is the only system that provides reliable protection of the armoured vehicles and stationary objects from the tandem cumulative munitions, armour-piercing sub-caliber projectiles and self-forming munitions of “striking-cannonball” type. Analogueless integrated tandem dynamic protection system “Duplet” is the only system which provides protection of the object from the tandem cumulative munitions at the azimuth firing angles of 90 °C. It is 1,5 … 2 times more effective than any system of other world best manufacturers in regard to the unitary munitions influence. Thanks to the original containers’ design and reduced demolition effect of the system elements the survivability is increased 2-3 times comparing to the known systems. Effectiveness of the tandem dynamic protection system “Duplet” does not depend on the projectile hitting angle and point of hit. Side effect, as one of the important dynamic protection systems’ evaluation criteria, is reduced to zero in the tandem dynamic protection system “Duplet”. 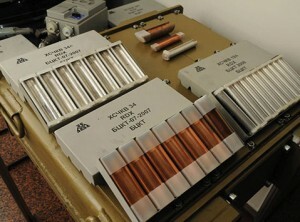 “Duplet” modules require no special preparation for usage, maintenance and repair in operation. Active protection system is intended for protection of stationary and mobile objects from anti-tank hitting means with depressed and diving trajectories of flight independenly of guidance systems and type or warhead applied. 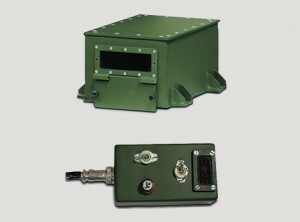 Active protection system consists of autonomous operational modules (customer defines number of modules required) and control panel. Complex modular design allows installation on all the types of serial combat vehicles and ones under development. F-3 system provides sham range signals to the enemy rangefinders. Amplitude-time selection-based fire control system as in T-80, T-84, T-90, etc. tanks cannot determine actual range to the target, consequently, hit probability is reduced almost to zero level. 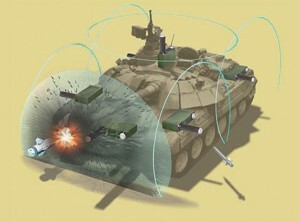 The selection-based fire control system as in «Abrams», «Leclerc», «Leopard», etc. tanks cannot exactly determine actual range to the target, consequently, hit probability is reduced and shot preparation time increased because real range must be selected. Basic version of F-3 unit is manufactured with formed sham range signal exceeding real value by 400±10 m. At customer’s choice we can install any value of generated error in excess of real value. Application: F-3 unit may be used to protect any objects of army, navy, air force, as well as engineering fortifications. F-3 unit opposes traditional rangefinding methods and has no counterparts anywhere in the world in respect of performance.